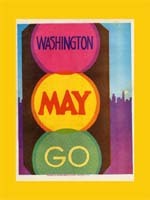 Enjoy this sampling of historic May Day posters and photographs. 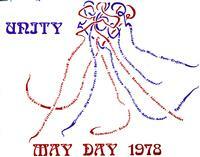 May Day has competed with Labor Day as a workers' holiday in the United States since the late nineteenth century. Both celebrations have deep roots in the struggle for the eight hour day in the 1880s, though May Day's origins go back to European agricultural spring festivals. 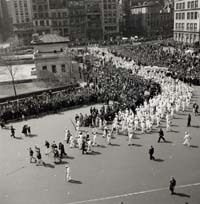 Most of the images here are from New York City, where Union Square played a central role for both holidays. 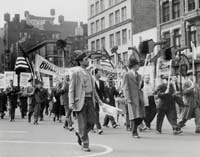 Tens of thousands of people marched in the annual May Day parades in Union Square in the 1930s, though by accident of history we have a larger number of photographs and pamphlets here from 1948, when the numbers were greatly diminished. 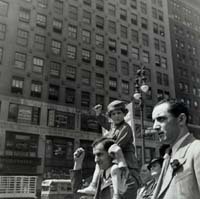 The black and white photographs evoke the events, but they do hide the predominance of the color red in the banners, the hats, and at times the clothing worn by May Day celebrants. The images below are all from the Robert F. Wagner Labor Archives and the Tamiment Library at New York University. They give a taste of celebrations over the twentieth century; please contact us if you can contribute information about any of these items. Peace march on May Day 1971. "El Primero de Mayo, el dia del obrero," 1973. May Day poster for 1978. Symbols of the trades and American flags. For a terrifically comprehensive bibliography of labor history resources, and terrific image of Walter Crane’s “Labour’s May Day” illustration from 1889, see the Labor and Working Class History website.